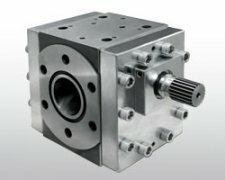 (1) Because of the high assembly accuracy of the melt supercharged gear pump, the clearance between the gear shaft and the sliding bearing is 0.2 mm, while the sliding bearing and the gear shaft rely on the melt material self-lubrication, sliding. 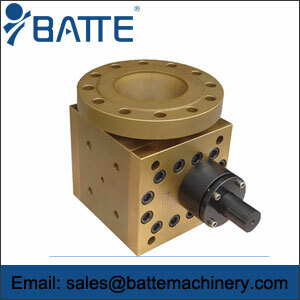 The main reason for the sticking resistance is that the width of lubrication runner is only 24mm, the lubrication runner is narrow, the lubrication is poor, and the friction between gear shaft and sliding bearing is increased. 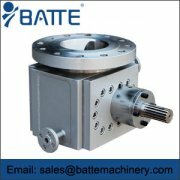 (2) The material of sliding bearing is cemented carbide, which is the same as the material of gear shaft. 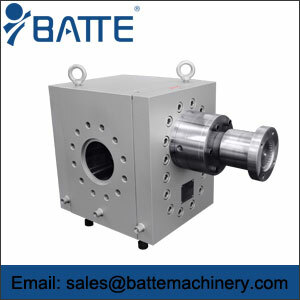 Bad lubrication of runner can easily cause blocking and locking of sliding bearing and gear shaft. 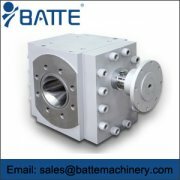 (3) Two machining marks can be clearly seen at the sealing surface of the pump body of the melt pressurized gear pump, which proves that the sealing surface of the pump body is not processed once, but is processed many times by the lathe, resulting in uneven sealing face, the pressure behind the pump is as high as 25 MPa, and the machining precision of the sealing end surface will cause the leakage of the cover if there is a slight deviation. Leakage.